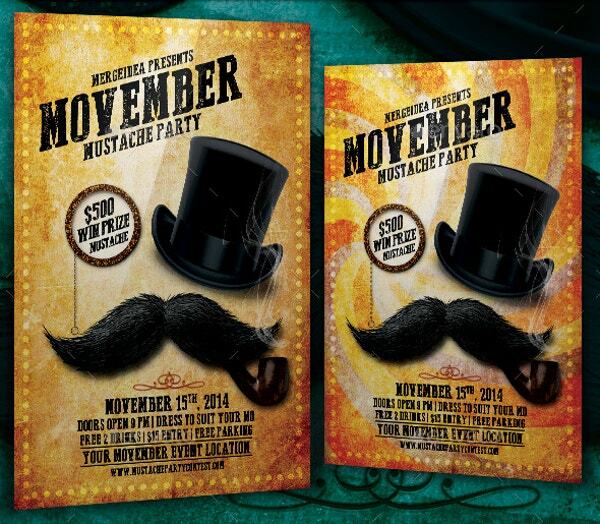 No-Shave November is here with a goal to spread awareness about men’s facial hair. 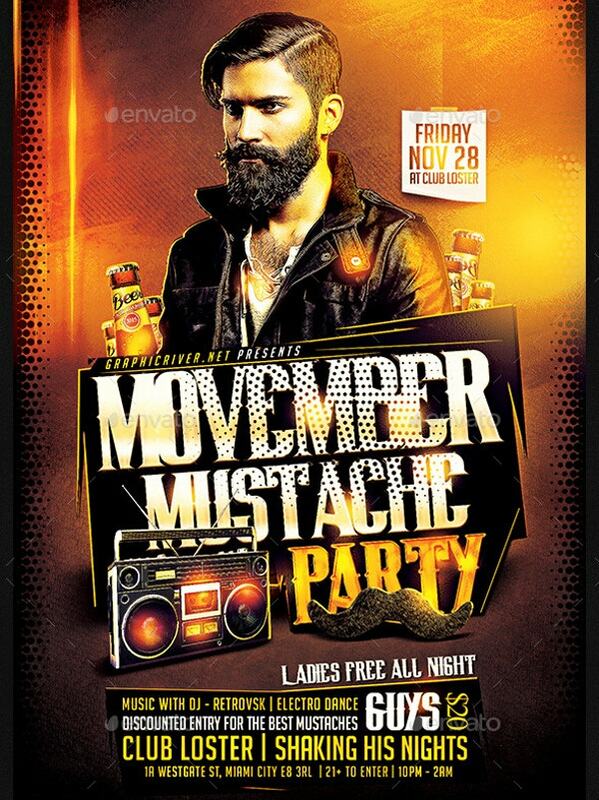 As a part of it, a band of artists is ready for the brave task ‘Movember’. 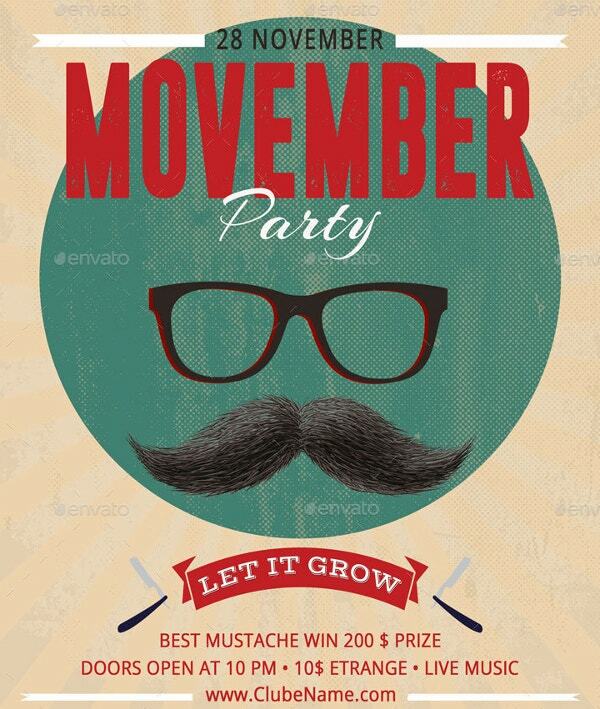 Well, this portmanteau (Mo+November) is a man-thing which encourages growing mustache and other hair with various posters. 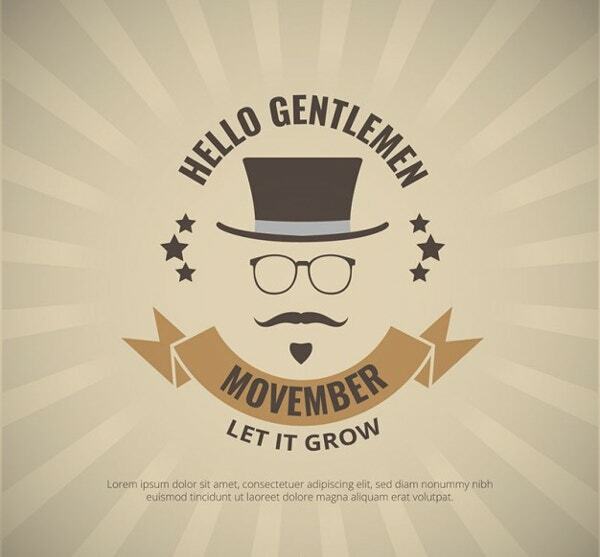 The posters are intended to build the camaraderie while educating men about cancer prevention measurements. 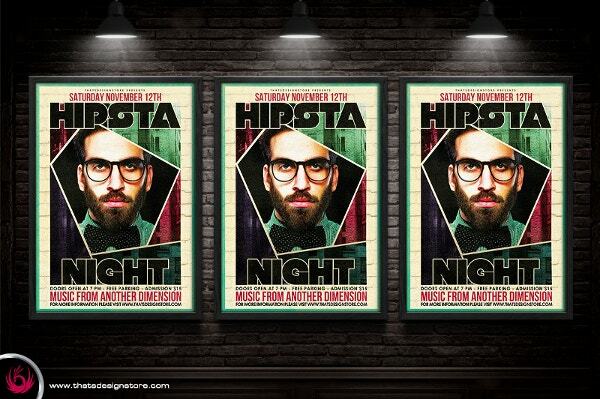 The below Poster Designs are inspired by individual artists around the world. You can use them for your personal use as well. 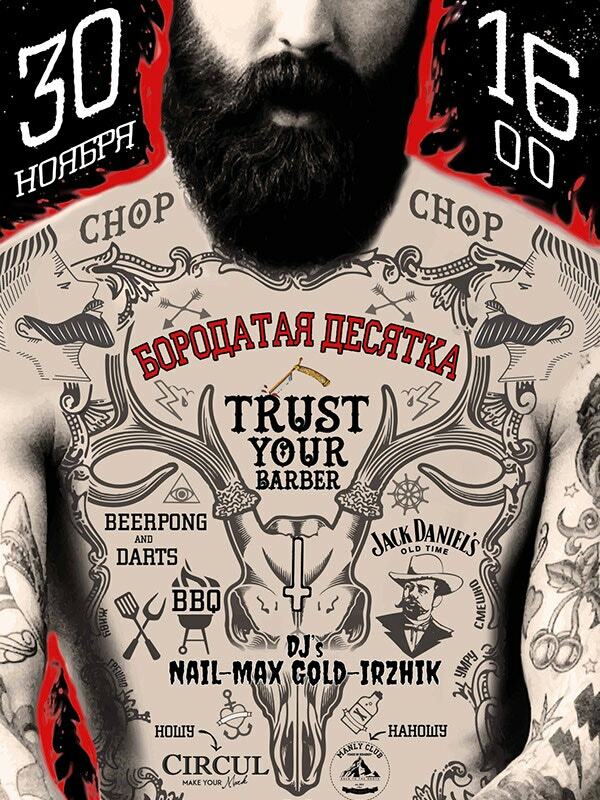 In the above poster from Damien Nightmare, a macho man is seen with a fully grown beard and naked top filled with tattoos. Body piercing has become one of the most sought after zones these days. A Batman with a mustache and a beard. 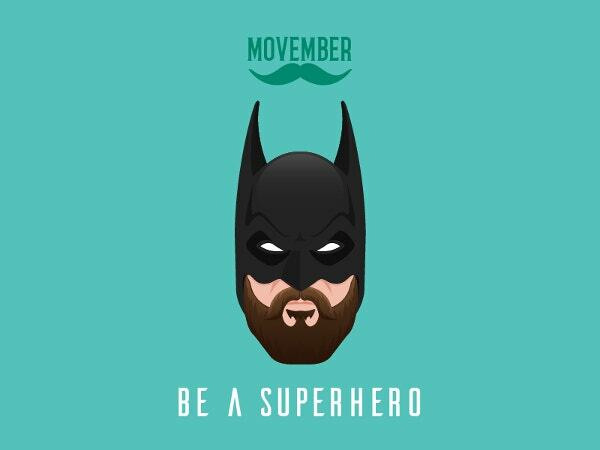 An innovative Poster that makes even the superhero a part of the campaign. 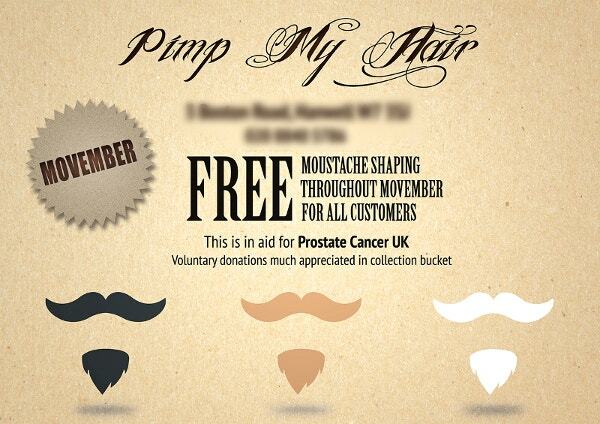 You can use this Motivational Poster template to raise your bid against men’s testicular cancer and prostate cancer. Here is an inspiration for you to become a hairy guy. A man with wildly grown facial hair. Let it be free. The furry layer not only gives you an admirable rough look, but it also protects you during the Winter. A Vintage Poster of a royal personality with a fur hat and curly mustache. After all, a mustache makes a man. And during winter, it is not itchy at all. The Crown has got a mustache here. After all, we cannot expect a King without a mustache. 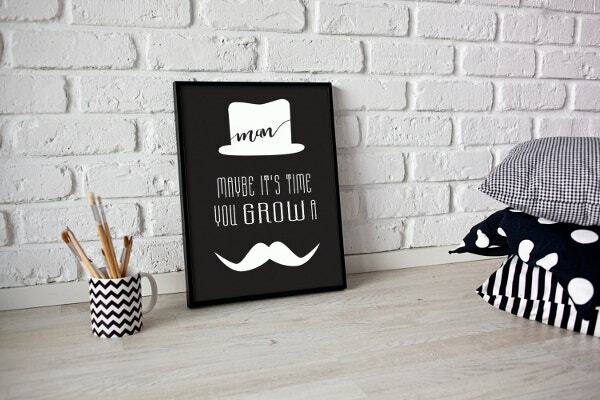 This print-ready poster leaves a message of ‘Grow it out’ to Man world. 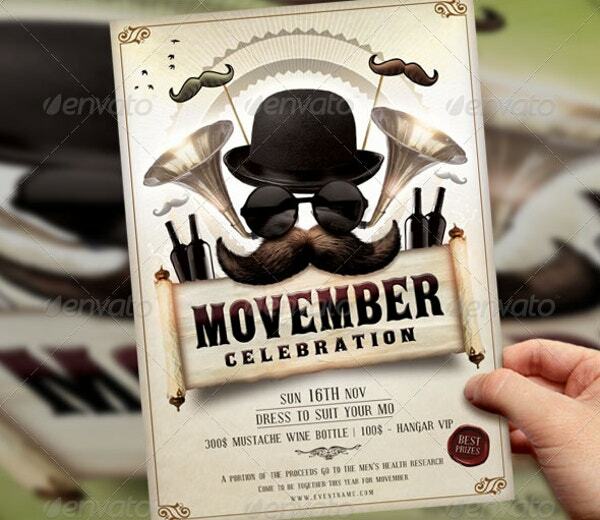 A Movember Poster with ‘pimp my hair’ slogan along with three combos of mustache and beard including Carbon Black and milky white. Men’s salons and spas can use this for their promotions. 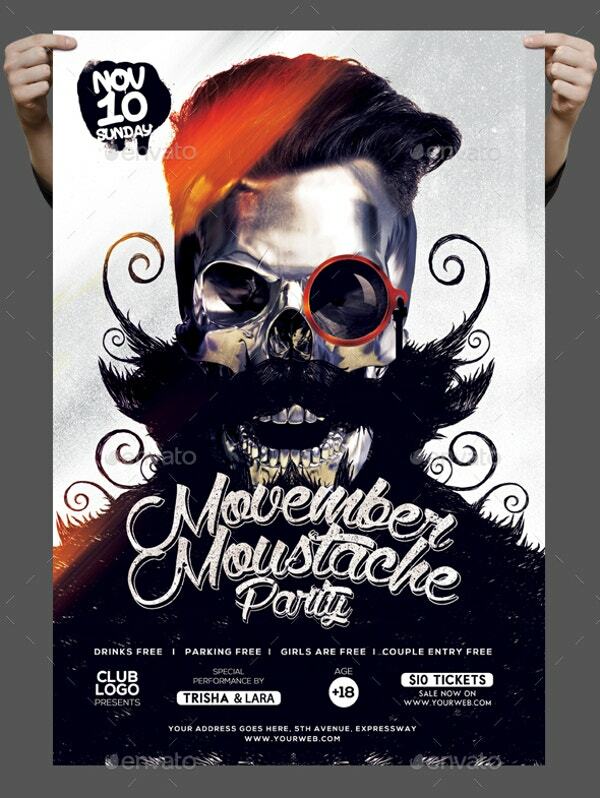 This Movember Party Poster is of size 8.5×11. The three PSD files come with a high resolution of 300 dpi and inscription fonts. The CMYK color mode enables the print option for it. Raise the curtain to your Masculine Winter Party with this Elegant Poster. 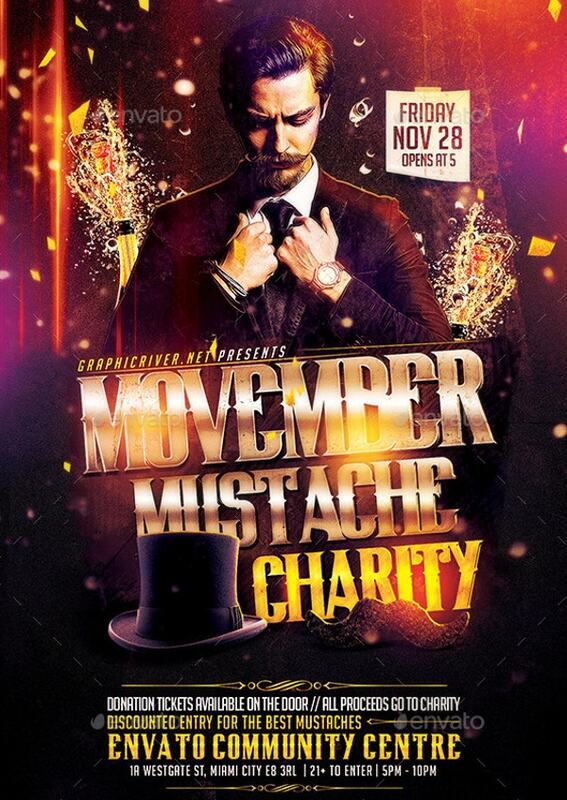 This can also be used for barber shop events. 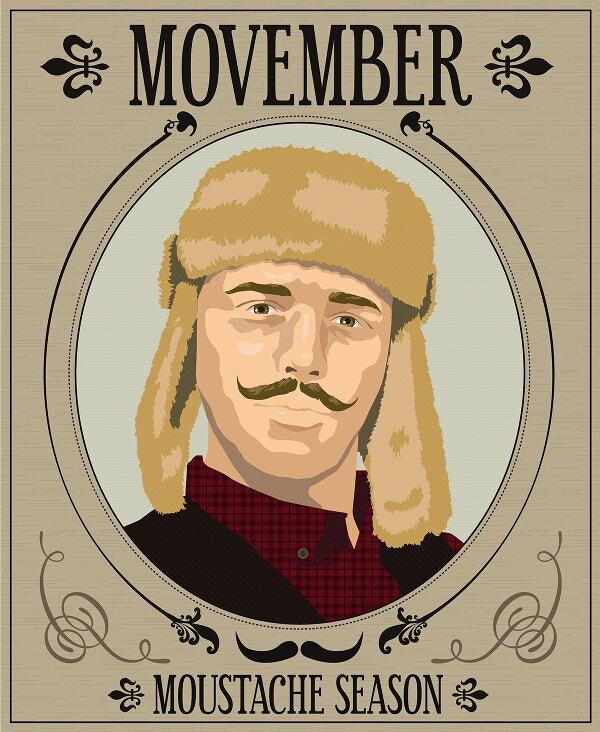 Beat the cold with this Movember poster. 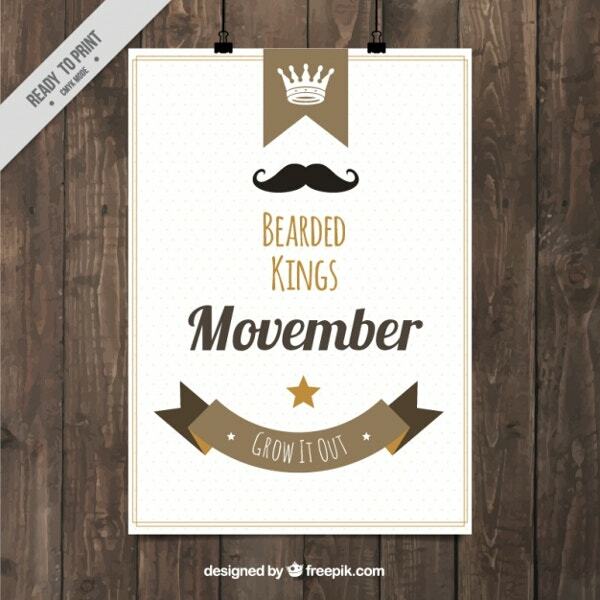 A funny and neat Movember Poster. 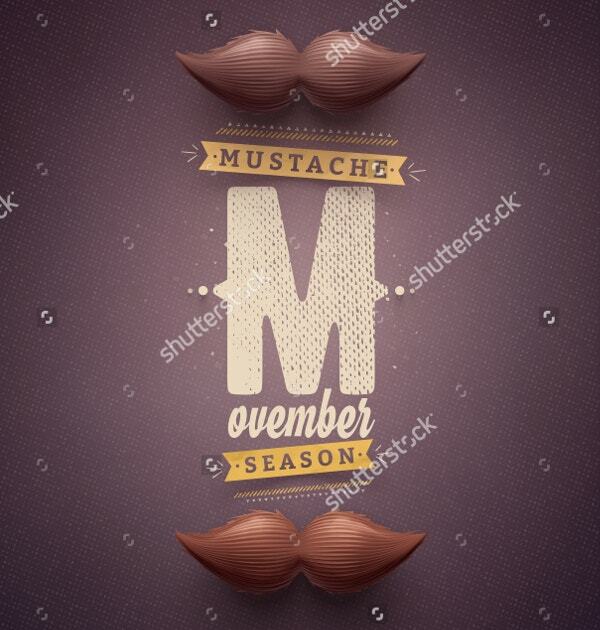 The chocolate color brings a classy look to the poster. 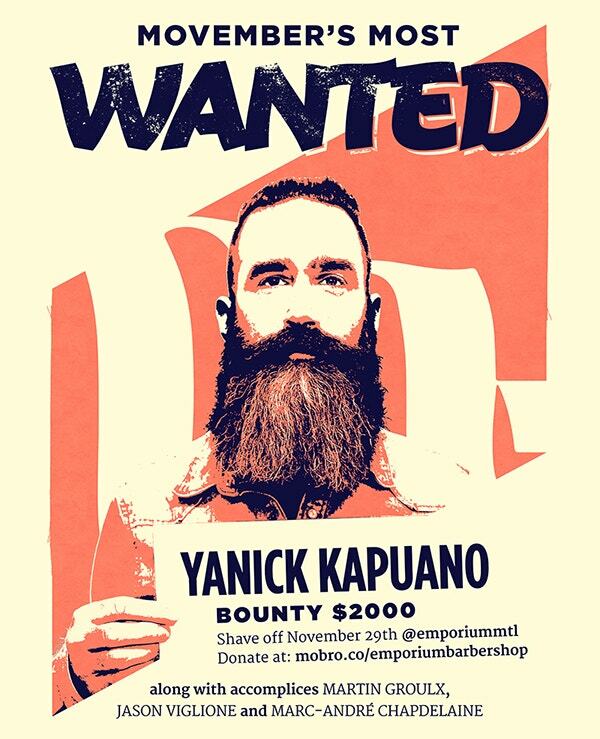 Though the style dates back to 70’s and 80’s, you can use this as your Wanted Poster template. 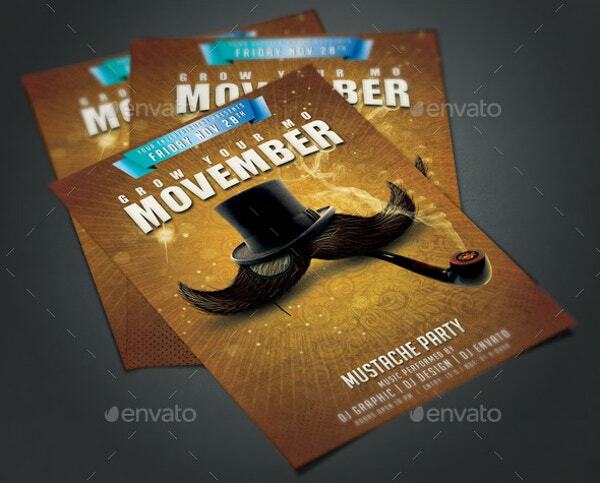 A beautiful and printable Art Poster of a handlebar mustache and a hat. The elements of a perfect gentleman of vintage times. This brings some authenticity to men’s hair massage centers and spas. 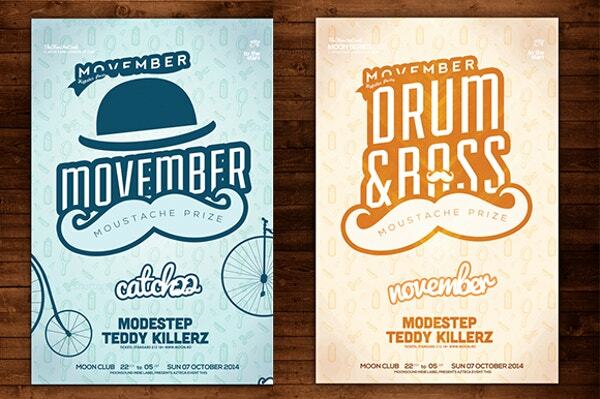 These Movember Posters ensure sharp and clear prints. 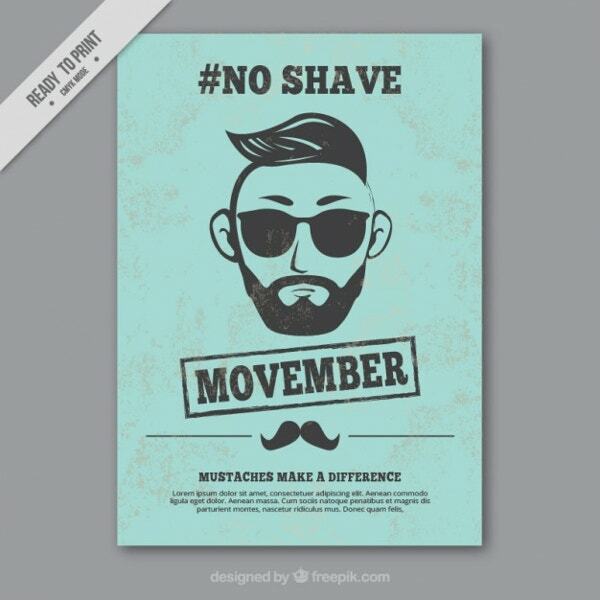 They endorse powerful campaigns such as ‘Grow a mo and save a bro’ and you can use them as ultimate accolades as well. 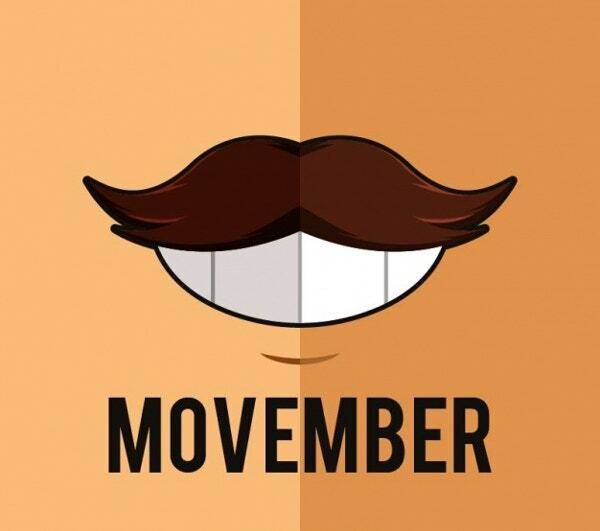 All in all, Movember is all about men’s health. With the above collection, you will never miss Movember again.